"The consumer will pay when the Tomato Suspension Agreement falls"
"I don't see how terminating the agreement will benefit anybody. Not the Mexican companies, nor the Floridian ones. And worst of all: not the consumer. In the end they will pay when the Tomato Suspension Agreement fails." Speaking is Oscar Woltman with AMHPAC, representing the Mexican greenhouse industry and his view on continuing the agreement is clear. However, various Florida growers respond otherwise. "This is long overdue," Mike McGee with Flavor-Pic Tomato says. "The suspension agreement would be a good thing if they were going to enforce it, which they haven't." There have been mixed reactions to the US government's decision to cancel the Tomato Suspension Agreement. It follows last week's vote in Congress that will see the suspension agreement terminated effective May 7. Many companies in the US that ship and distribute tomatoes are on the sidelines, waiting to learn more and also to see what will happen after May 7. One of them is Oscar Woltman with AMHPAC, the biggest organisation representing the Mexican horticultureal industry. He explains they have been trying to continue the agreement over the last 13 months, but hardly get a respond from the parties willing to terminate the agreement. To Oscar, it's unclear why somebody would want to end the agreement. "In Mexico there's a clear desire to modernise and continue the agreement. There's no benefit in ending the agreement and we regret the current risks being taken of unnecessary price increases due to compensatory taxes. Especially since in the end the consumer will pay when the Tomato Suspension Agreement discontinues." According to Woltman, the Mexican growers and exporters strictly followed the rules over the last 5 years. "I can't understand why people believe there's dumping going on - how can the Mexican industry continue to grow while doing this? Every industry would go bankrupt after years of being guilty of dumping. Currently production from both countries finds its way to the market. Many Mexican producers supply to Floridian importers. The relationship is far-reaching and production is complimentary." For Woltman, the heart of the matter is unclear. "We notice that the consumer is increasingly opting for greenhouse grown products, providing a versatile assortment and year-round safe production. The production is complementary and many Mexican producers supply to Floridian importers. The relationships are often very good and both countries work together. As a whole, the market is growing, the Mexican industry is growing and even though the Floridian growers have a smaller piece of the pie, their total amount of sales has grown. I've always learned production will only grow in the long term as long as the demand grows. If the demand rises and still all product is being sold in the US or in local markets, there's no overproduction or dumping going on." If the agreement ends and if the commission agrees there's dumping going on, an additional fee will be added on top of the tomato price. "In the end, the consumer will be paying for this. At the same time, it will mean that Florida growers will have to compete with a lower priced supply from Mexico - so they won't benefit from the termination either. And I currently don't see anybody building 8,000 or even 9,000 hectare greenhouses in the US." That's why he hopes AMHPAC, will succeed in their ongoing attempts to continue the agreement. "Suspension agreement was not enforced anyway"
However, whilst this view from Mexico is clear, various US growers do welcome the move. These growers, especially from Florida, have long been campaigning against what they see as an unfair advantage for Mexican growers. Incidentally, it is Florida that competes most directly with Mexico during each of their respective peak seasons. For some, like Mike McGee the termination couldn't come soon enough. He's with Flavor-Pic Tomato, an open field farmer with farms in Florida, Georgia and Alabama. According to McGee, the suspension agreement was not being enforced the way it was designed. "This is long overdue," he said. "The suspension agreement would be a good thing if they were going to enforce it, which they haven't. We are already at a disadvantage when it comes to competing with Mexico on cost. Now they are going to launch an investigation into reported dumping of Mexican tomatoes, however we don't think anything will be done about it anyway. We know there have been a few instances of them undercutting us so there is no way we can compete fairly." He's supported by more growers from the region, who don't want to be named. 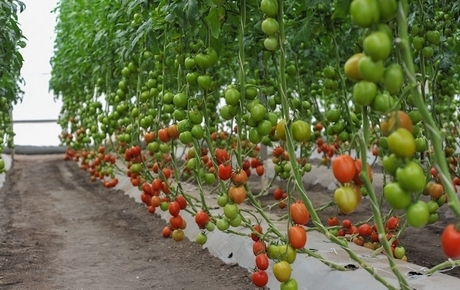 One Florida grower who also sources tomatoes from Mexico at certain times of the year, mentioned they are yet to see what effect it will have, but also noted the issue is more complex than simply Mexican imports, and even tomatoes. "It's something that companies will have to read more about and then take action accordingly," a spokesperson said. "It's more than just Mexico because Canada also exports tomatoes to the United States and then there are Florida growers who also grow in Mexico. Additionally, it's not just about US tomato growers either. We are not protecting all our growers, whatever the commodity. There are even state-based issues that affect other states too so it's a very complex issue." "The FTE is pleased that the Commerce Department has recognised the failure of the current suspension agreement. The US industry has significant disadvantages vis-à-vis Mexico when it comes to cost of labor and overall regulations", adds Michael Schadler, executive vice president with Florida Tomato Exchange. "If we allow Mexican dumping and subsidies to continue on top of those other disadvantages, the US industry will continue to shrink. Therefore, strong enforcement of trade law is important, and we think this recent decision to terminate the suspension agreement on May 7 is a move in the right direction." Florida tomato growers calling bluff? On the other side of the scale, there are those that believe no dumping has occurred at all. Instead, they say that Florida growers have not done enough to maintain their position in the market and are using the suspension agreement to try and alter the market in their favor. "I never thought the suspension agreement was fair," said Paul Manfre of TopKatz, a New York produce brokerage. "Any time you intervene with the market through regulatory interference, it fails. The suspension agreement created a false bottom that propped up prices and was unsustainable. Before the suspension agreement was even in place, people used to want Roma tomatoes from Florida because they were better quality than what Mexico was able to produce at that time. However, over the years, Mexican growers improved their practices and quality along with it, to a point that was on par with or even better than product coming out of Florida, resulting in more demand for Mexican product." Regarding the claims of dumping, Manfre said price drops are a function of a supply-and-demand market and producers should expect highs and lows. "There is no such thing as 'dumping' in produce," he explained. "Every commodity goes through its cycles of highs and lows in demand and volume, and prices react accordingly." With May 7 being only a couple months away, the Mexican industry still puts their hopes up on renewing the agreement. Currently AMHPAC is putting all its efforts into this. "Where there's a will, there's a way and our Mexican will is very present. I'm hoping so is the Florida one - since a new agreement will benefit both sides", Woltman ends.